It’s the end of American Cheese Month, but it’s the beginning of holiday season. 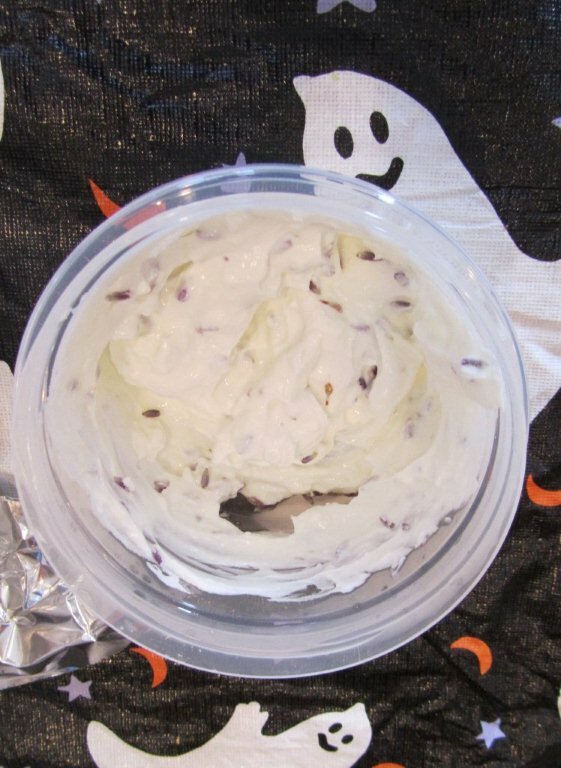 Brie is a staple for holiday parties, serving it with bread dough, sweet and savory spreads and jellies and toasting it warm, and serving it with crackers, bread and wine. Yum. But would you ever think about making it yourself? I had to give it a try. The Splendid Table had a program on Cheesemaking with Janet Hurst author of the book Homemade Cheese: Recipes for 50 Cheeses from Artisan Cheesemakers. Janet Hurst mentioned that if you made brie, you would be a rock star. Brie is originally from the Seine-et-Marne region in France, pale in color with under a rind of white mold, and yes it is typically eaten. The ingredients are quite simple. When I dropped by The Truffle Cheese Shop to pick up the items to make the brie. I picked up the rennet and the mesophilic culture. 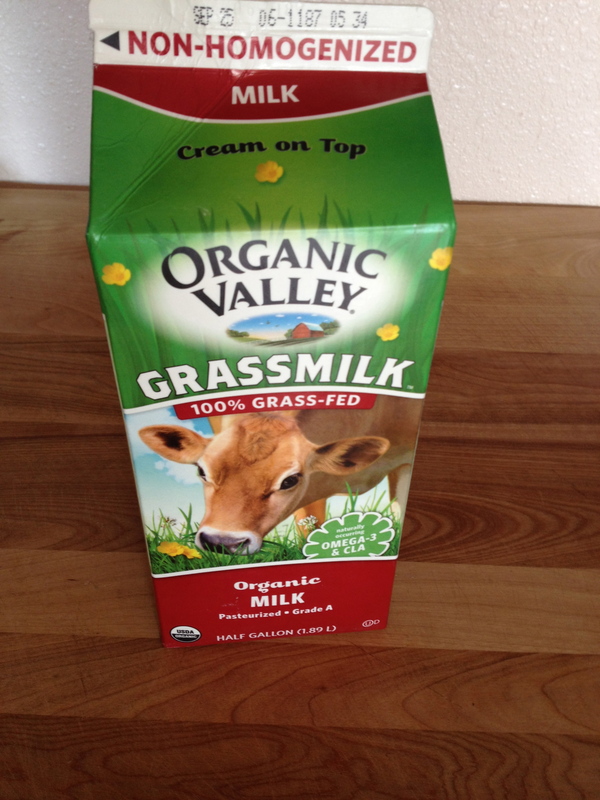 The staff member mentioned that it was good to use non-homogenized cow’s milk. The next trip was to locate the penicillium candidum and cheese molds. It took me awhile but I found The Brew Hut which is a brew-pub restaurant and beer making store. 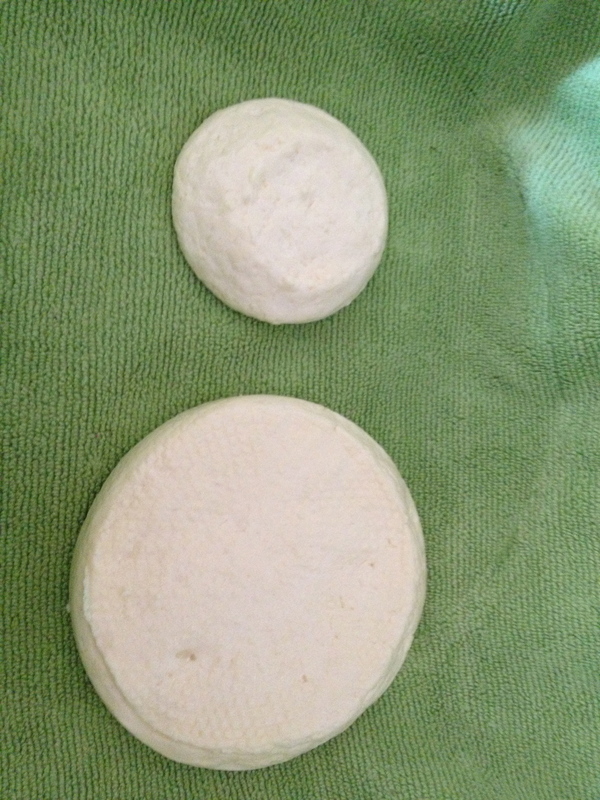 Penicillium (above picture on the right) is needed to form the mold on the brie . Technique is the key to making brie. It took me awhile to gather supplies and figure out how I could best form a disc of brie. 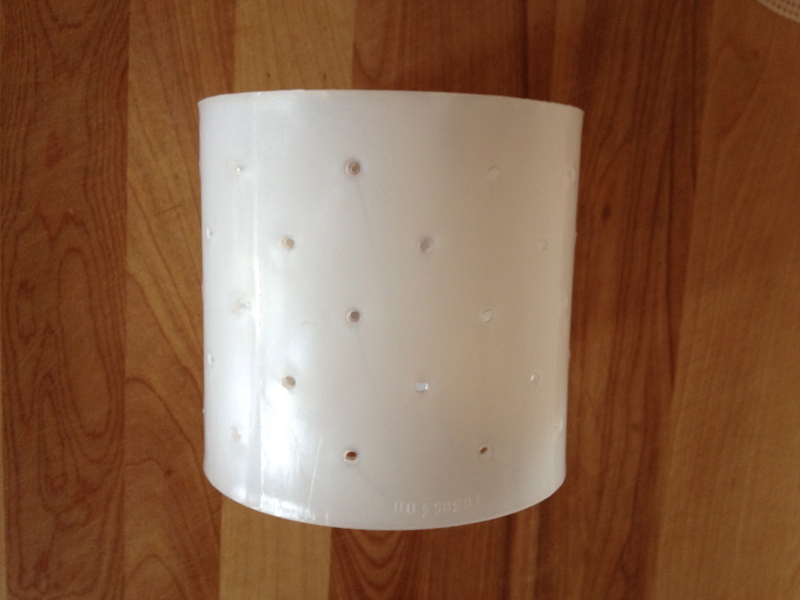 Prepare the molds The classic format is an open-bottom round mold with holes in the sides. With this type of mold, a mat is be required. 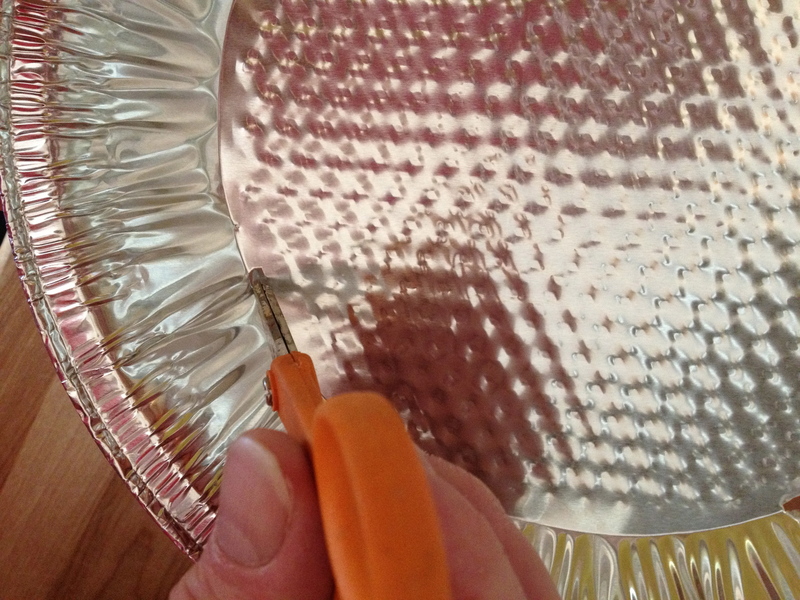 Line the cookie sheet or pie tin with plastic canvas (used for needlework) or regular cheese mats. I bought a square needlepoint mat and trimmed it to a circle to fit inside the aluminum pie plate. Place the mold on top of the mat. 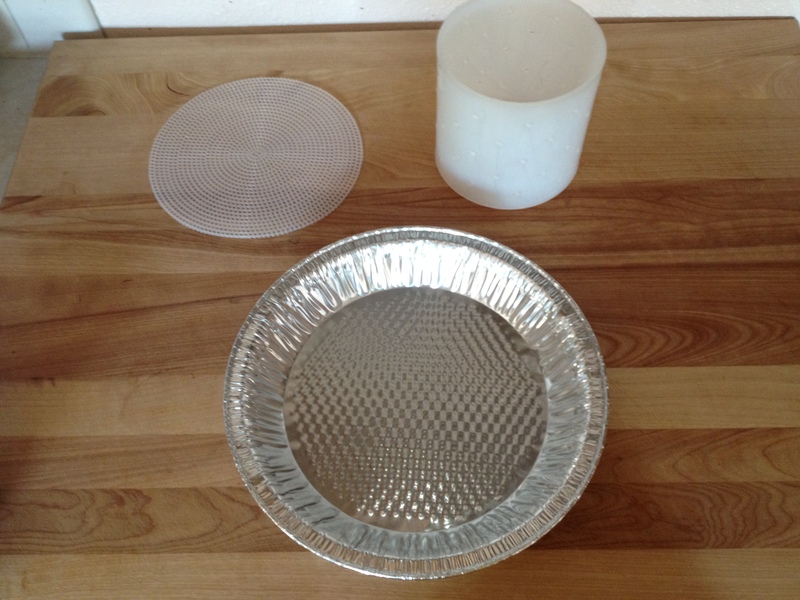 I poked four holes in each corner of the aluminum pie plate. These holes allow the whey to escape. Heat the milk to 86 degree F; add the culture and Penicillium candidum. Mix in well, stirring top to bottom. 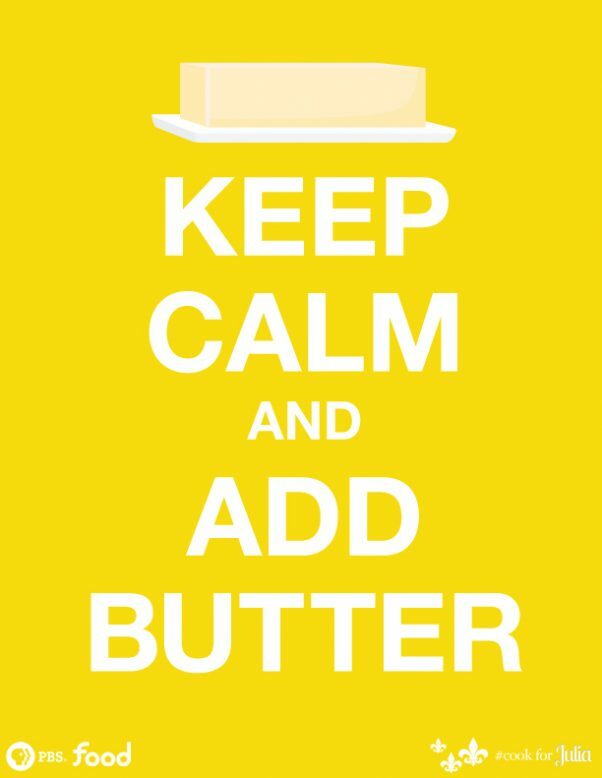 Add the rennet solution and stir again, top to bottom. Let sit for 20 to 30 minutes or until a clean break is achieved. 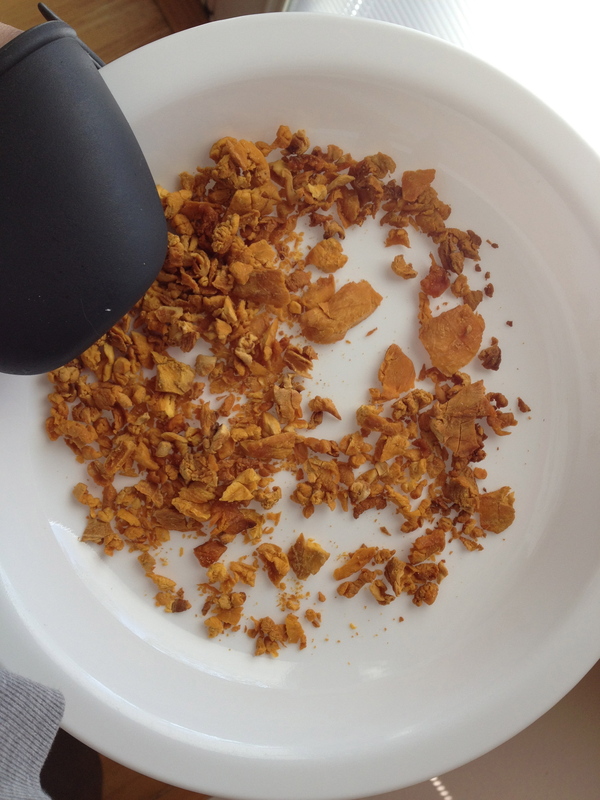 After clean break is achieved, cut the curd into 1/2 inch pieces. 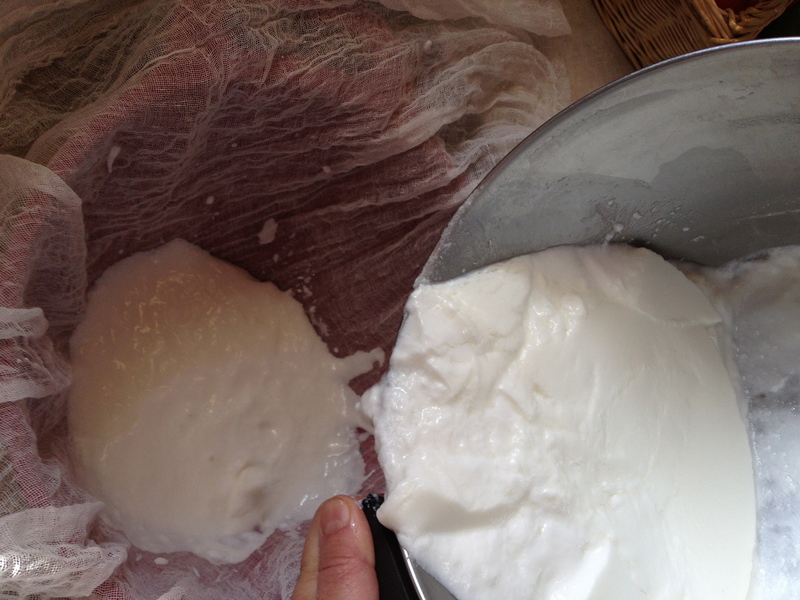 Allow the curd to rest for 10 minutes. Ladle the curds into the mold, keeping your hand on the mold, until the curd is “seated.” If you let go, chances are the curd will seep out, and you will lose the curd. Keeping your hand on the mold for a minute or two will prevent this. When all the mold is full, place another piece of matting and then another aluminum pie plate (with four poked holes) on top of them. After about 20 minutes, you will flip everything at once. To do this, make sure the pie tins are lined up, put your hands on opposite ends, gather your thoughts and quickly flip the whole thing. The cheese will settle into the molds. Flip the whole thing again two more times waiting 20 minutes between each flip. 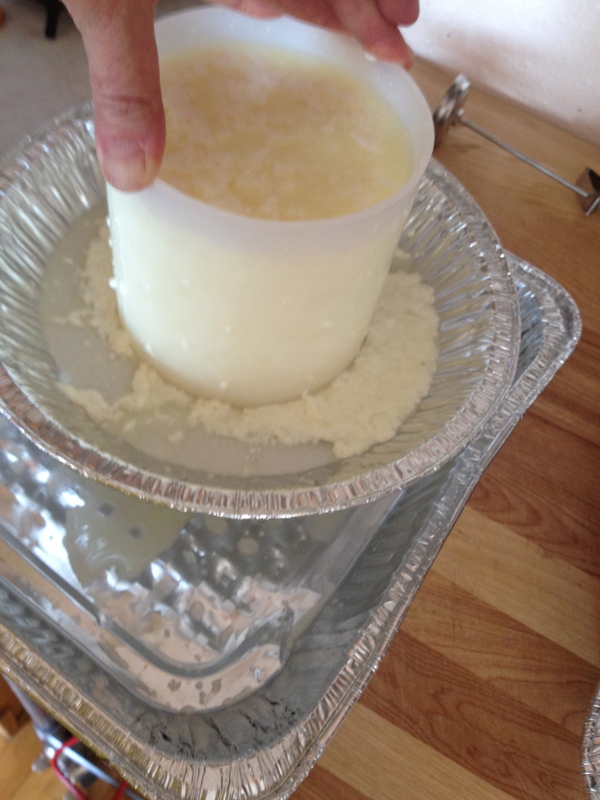 After three flips, the curds in the molds should stay put for 12-18 hours compacting the curds. I covered them with a towel and set them in a safe shelving in my basement over night. The next morning, I lifted up the cheese mold and let it air dry a few hours. 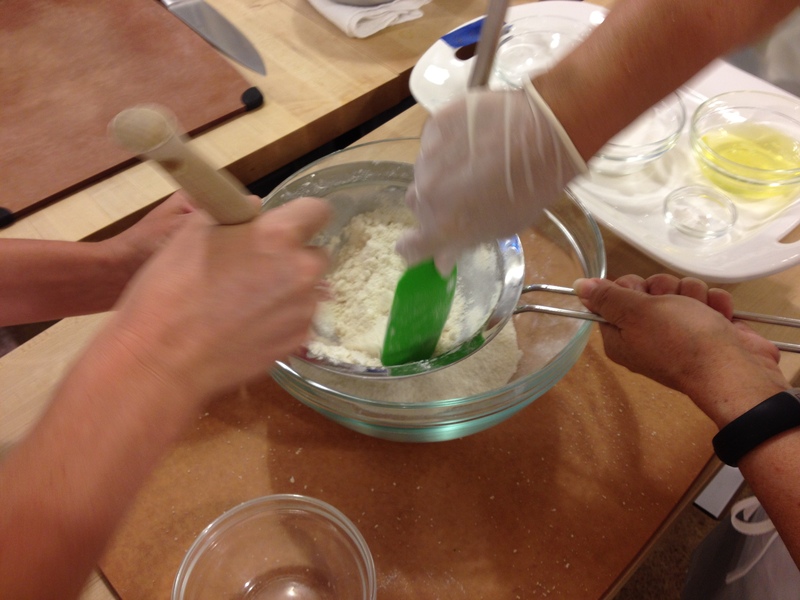 When the cheese is firm, place it in a fully saturated brine for 20 minutes, then air dry again. 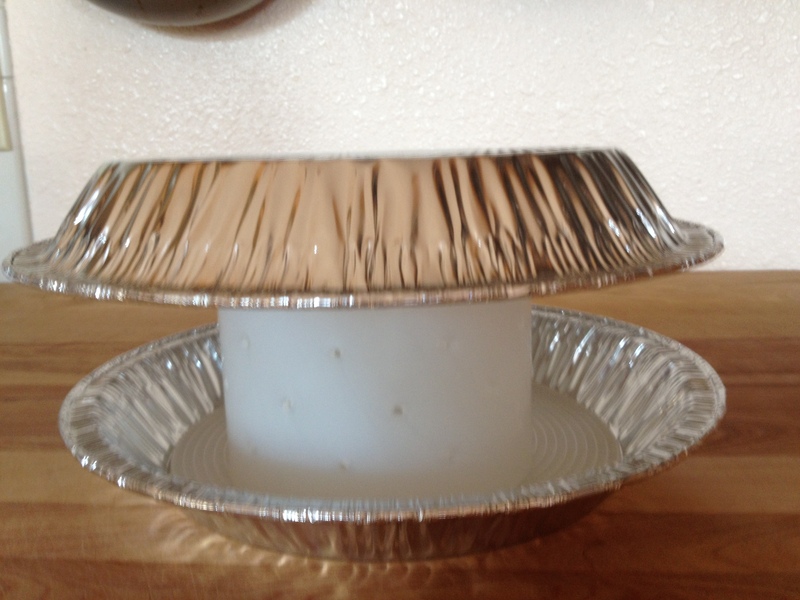 As Janet Hurst describes in her recipe, place the cheese in a 50-55 degree F environment and allow the mold to develop. You will see it starting in 3 to 5 days. Let the mold develop for 7 to 12 days until it entirely covers the cheese. Then wrap the cheese in wax or cheese paper and continue to age it for about 10 more days. 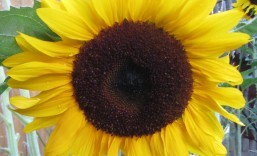 It is ready to eat at any point, but will be well-developed at 21 days. Serve this cheese at room temperature. 1. It did take me a while to figure out the equipment so that I could manipulate the flipping technique. The author mentioned cookie sheets but with the small size of my cheese molds the aluminum pie plates worked best. 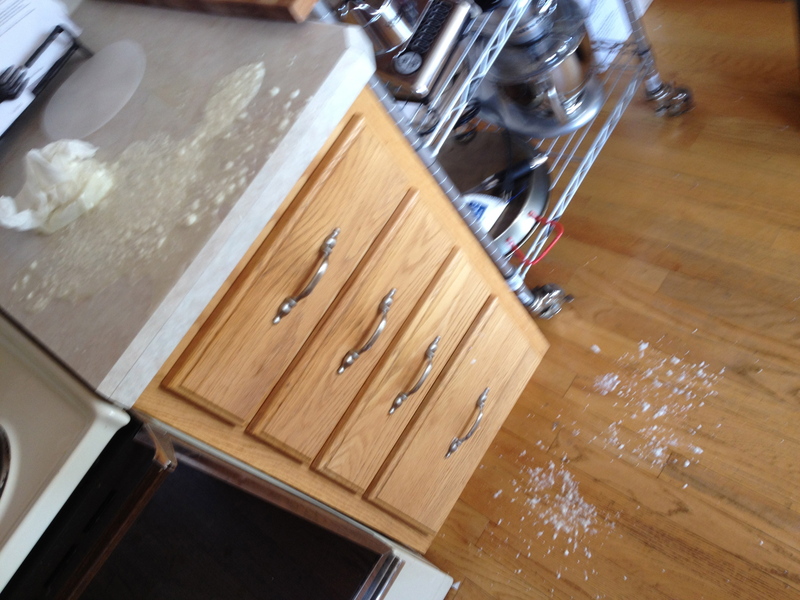 I sat it inside a second, bigger square aluminum pan to catch the whey draining through the pie plates. 2. Needlepoint mats worked very well. I couldn’t wrap my head around the size to choose so I made three trips to the craft store to get the right size. Since I didn’t think I needed a large amount of brine I converted the website recipe to: one gallon of water to 7 oz salt. I used the non-iodized canning salt. It dissolved easily. 4. I forgot to place the cheese in wax paper after 12 days. I did keep it in a plastic container with a loosely capped top in a cooler in the basement. I placed an ice pack in the cooler and changed it daily. The brie aged for about 37 days. 5. I only used a half-gallon of milk because I only had one official brie mold. 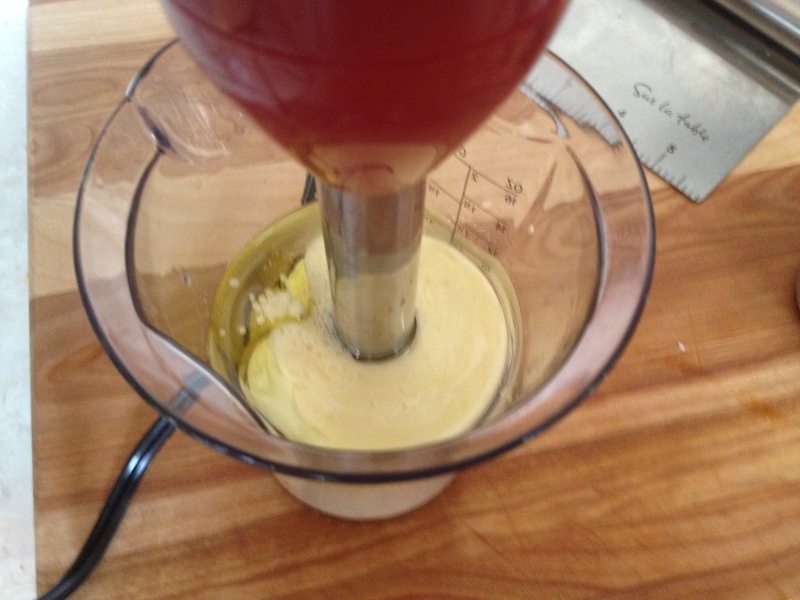 I used another cylinder to take the overflow of the curds and whey that didn’t fit in the whole mold. 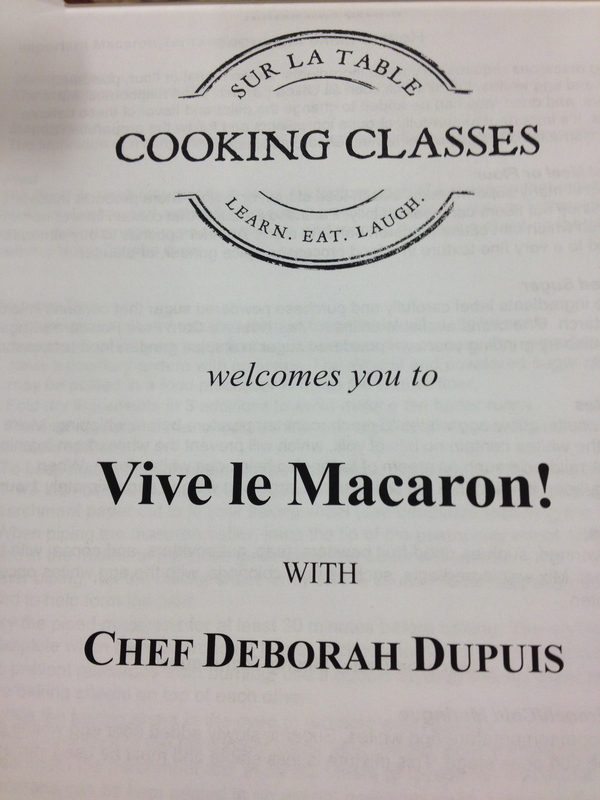 The Fearless Cooking Club (TFCC) members tasted it and said it tasted like brie! Success! 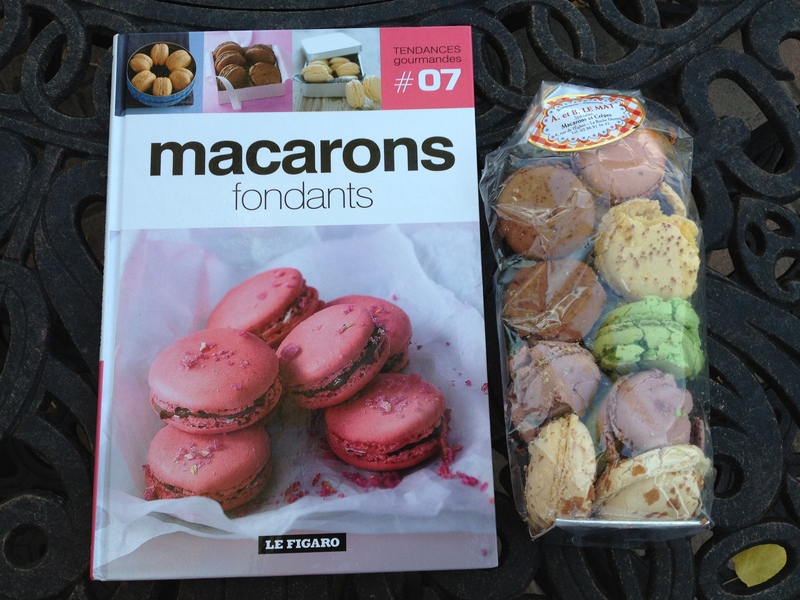 Now I am ready to try the second batch. It’ll be time to wow friends and family with the next generation of Brie. Rock Star! October is American Cheese Month. 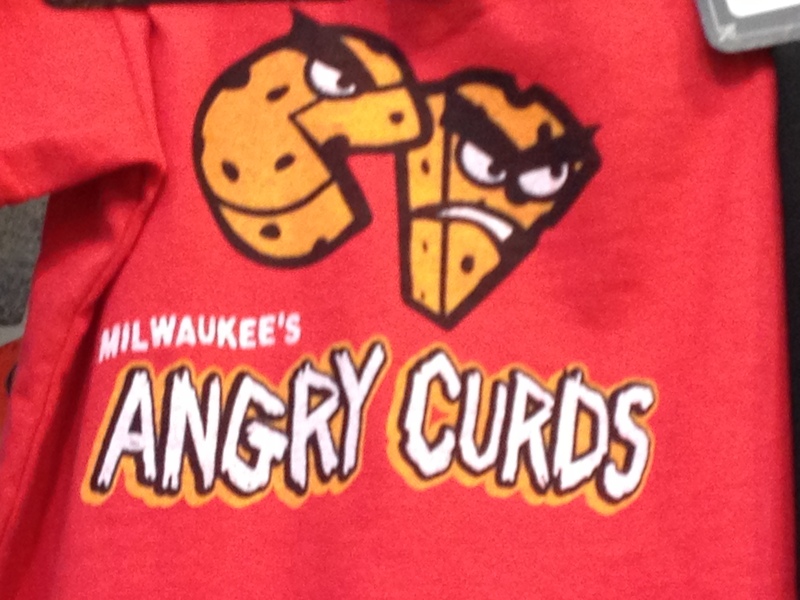 I visited the land of cheese, Wisconsin, earlier this month and got in the cheese mood. The Splendid Table had a program on Cheesemaking with Janet Hurst author of the book Homemade Cheese: Recipes for 50 Cheeses from Artisan Cheesemakers. 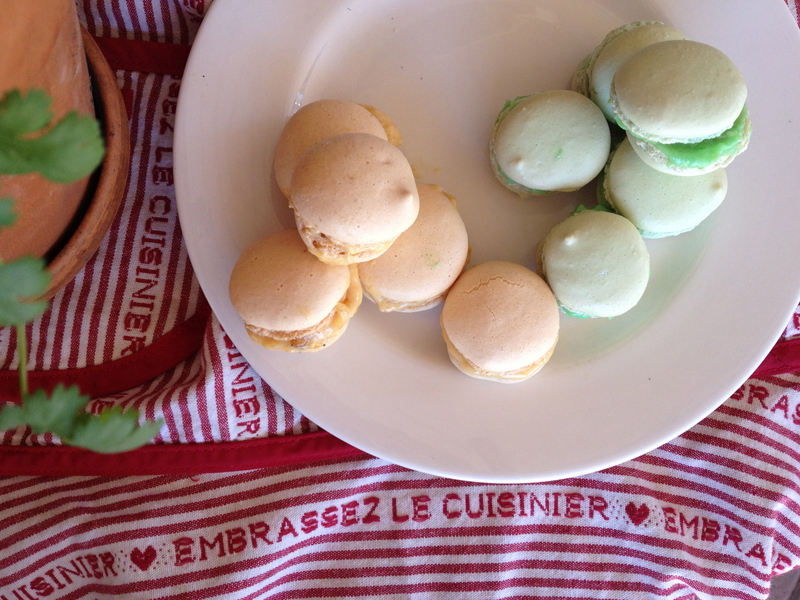 She bragged at how easy Chèvre , French for goat cheese, was to make. It is one of my favorite cheeses and it is pretty versatile. I’ve used it with chicken, appetizers, and salad dishes. I went to several stores on the search from Goat Milk and settled on powdered version. It was about $8 for a container that made about one gallon. It mixed easily and tasted good. 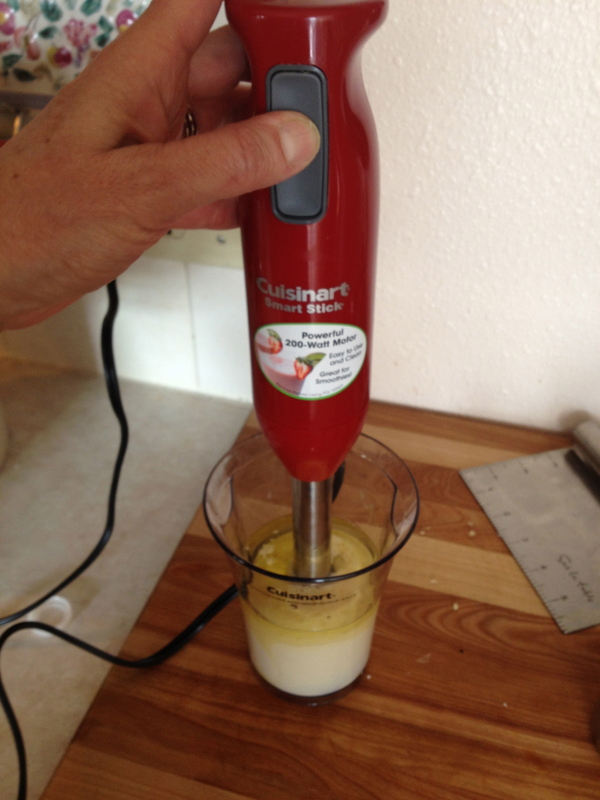 As per the recipe you need mesophilic and rennet to make the milk curdle into cheese. 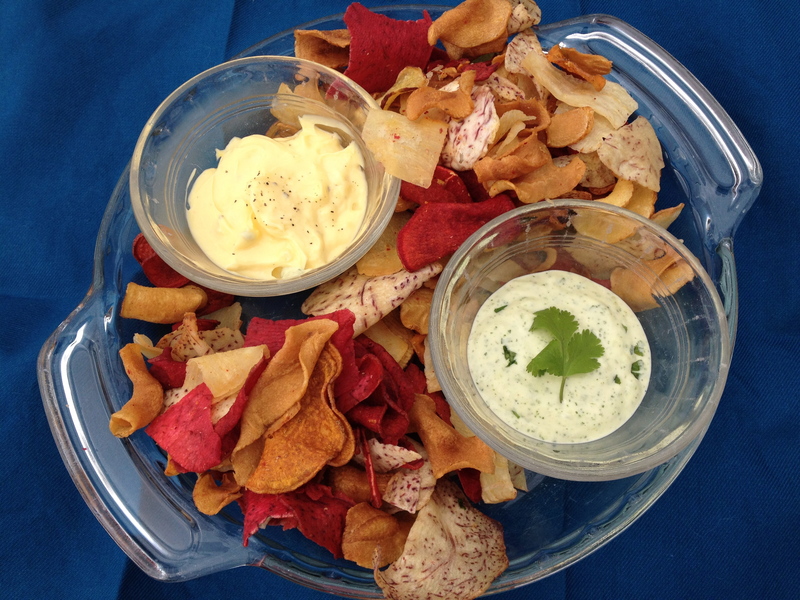 Mesophilic culture (far left in the picture) is used for most soft cheeses as well as any hard cheeses that are not heated over 102F. ‘Meso’ means middle and these cultures are great for cheese making where the recipe requires ‘middle’ temperatures (between 68F and 102F). Rennet (middle in the picture) contains many enzymes, including a proteolytic enzyme that coagulates the milk, causing it to separate into solids (curds) and liquid (whey). 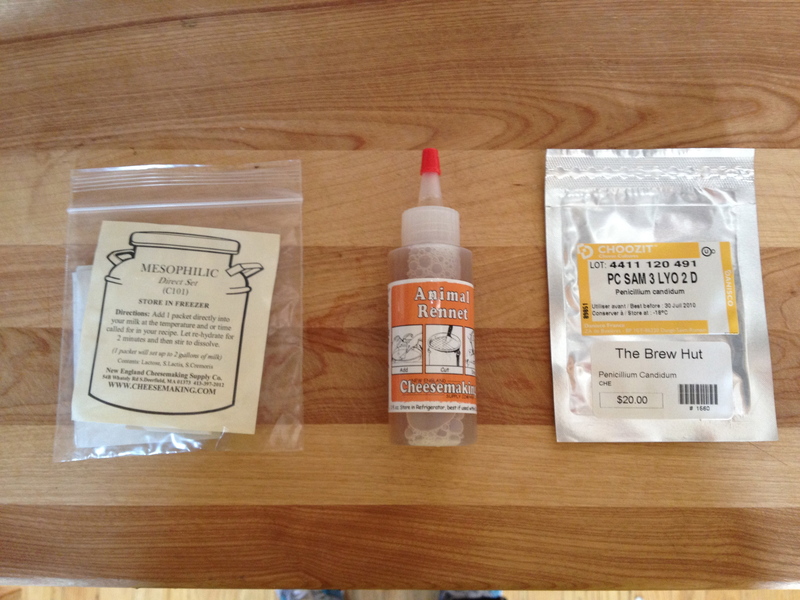 In the picture above, far right, is penicillium candidum, which I used in another cheese I’ll blog about later. 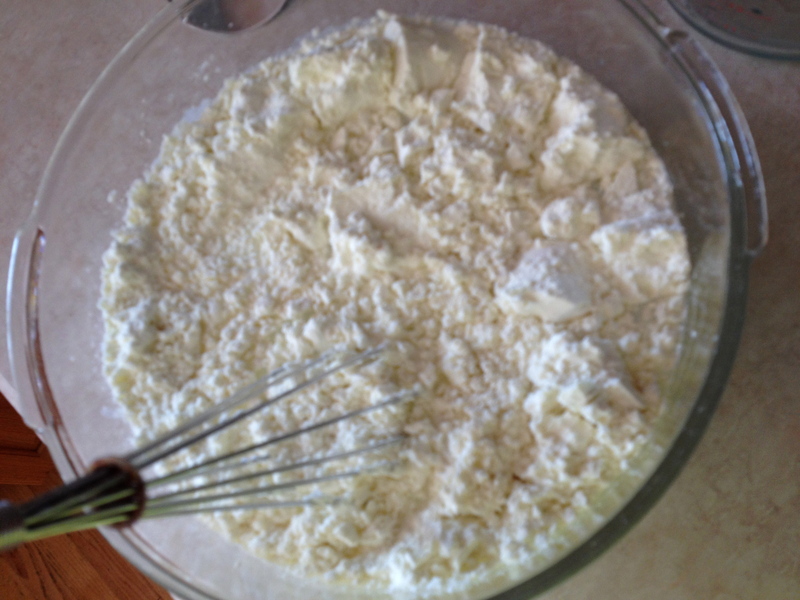 The mixture should sit at room temperature for 12-15 hours in a container covered by a cloth to form curds. 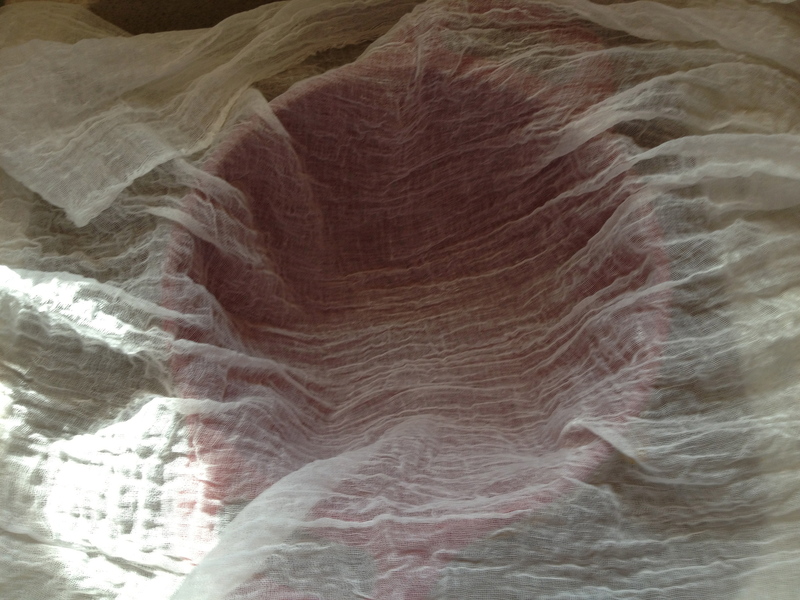 The next day, pour the milk,water and curd mixture through a colander lined with cheesecloth. 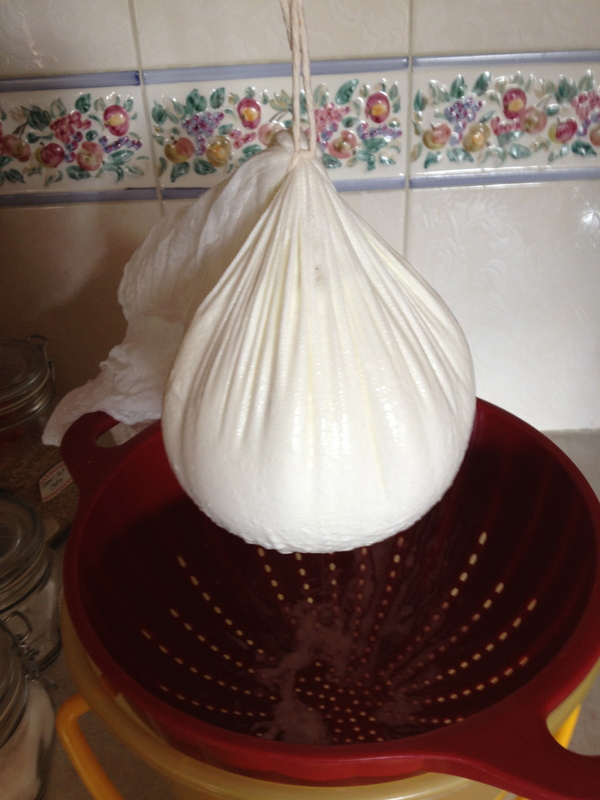 The goat cheese mixture should hang over the sink or on the handle of a cabinet for another 12 hours so the curds stay in the cloth and the whey is filtered out. 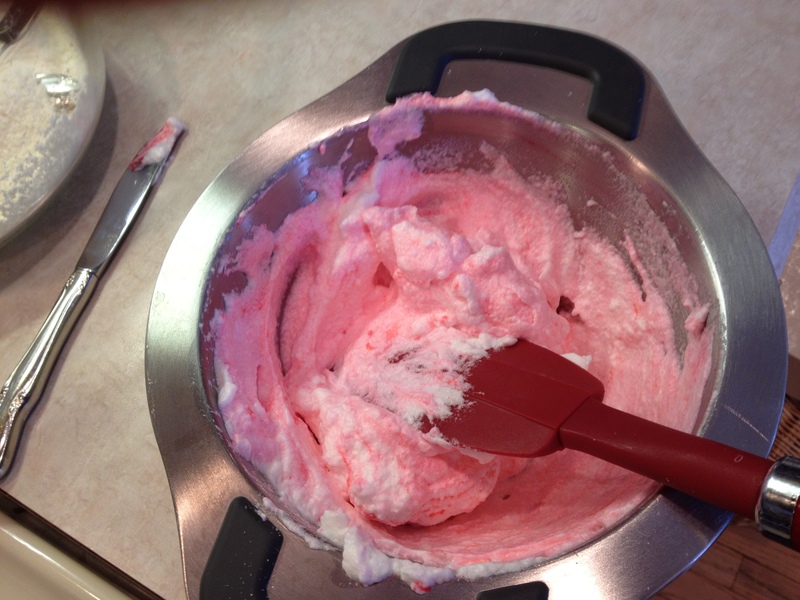 Add in 1/2 to 1 tsp of non-iodinized salt to flavor. 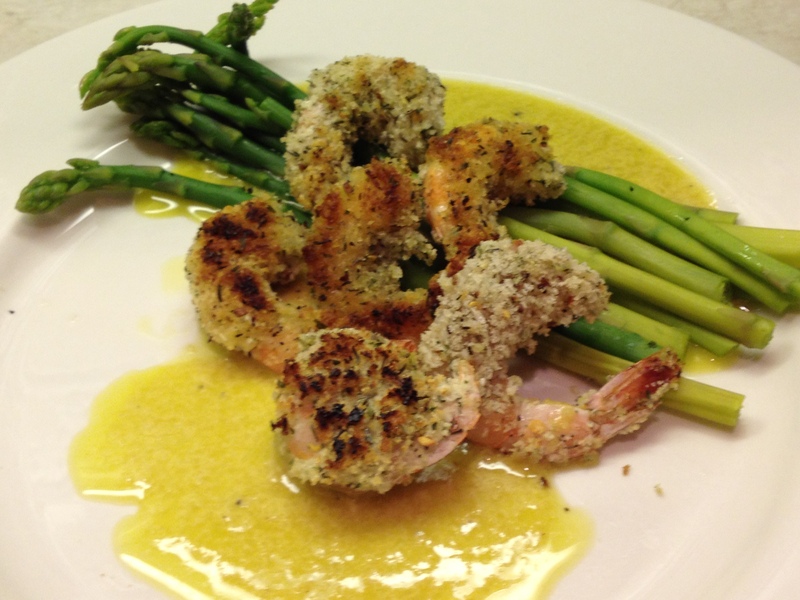 Serve plain or add your own seasonings like chives, minced onion or garlic. 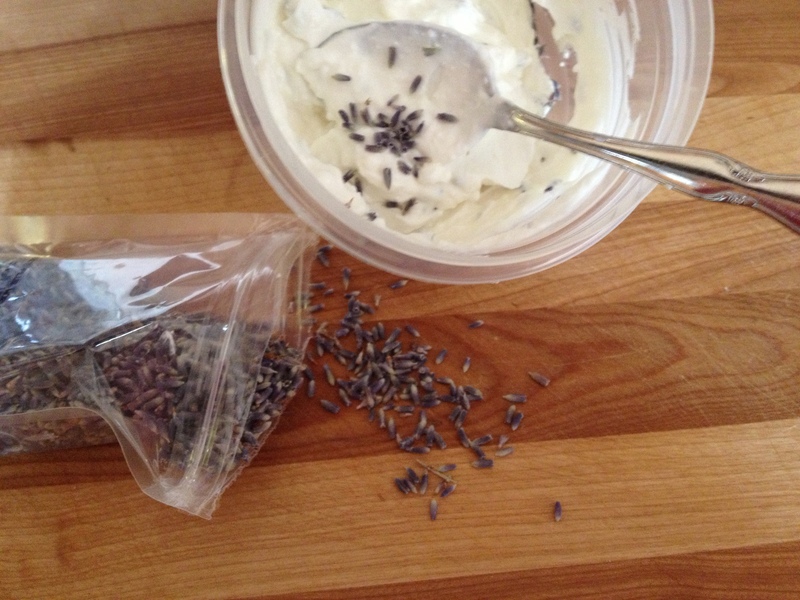 I was excited to add my lavender to a part of the batch. The Fearless Cooking Club (TFCC) gathered to eat cheese. 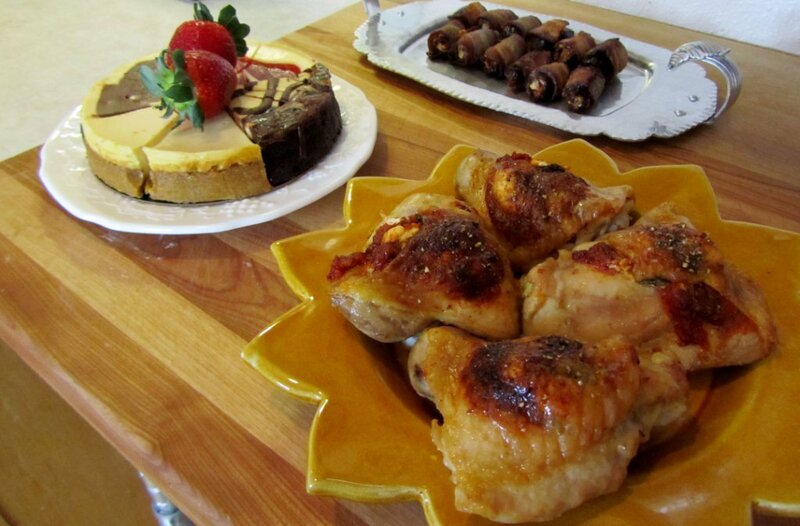 I used the homemade goat cheese for my favorite recipes: appetizers using goat cheese and dates and Ina Garten’s recipe for chicken, goat cheese and sun-dried tomatoes. 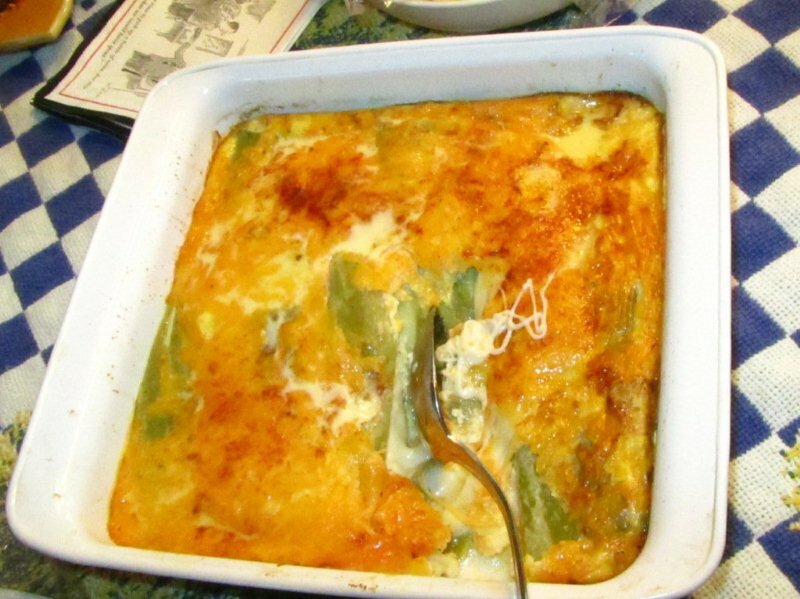 Char brought an oh so creamy, cheesy dish of chile rellenos. 1. You can use whole milk or goat milk to make it depending on your taste. 2. 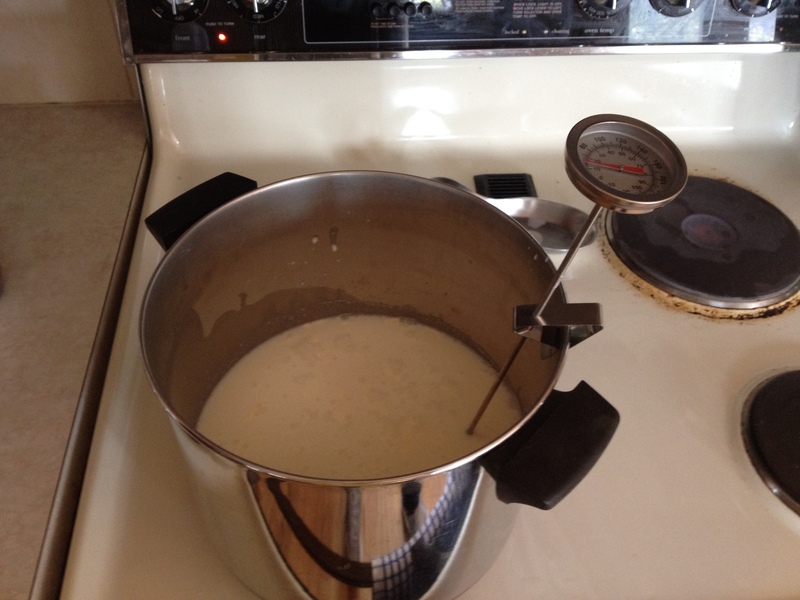 It does not take very long to heat up the milk to 85 degrees F so watch the thermometer closely. 3. I found the powdered goat milk was more economical. 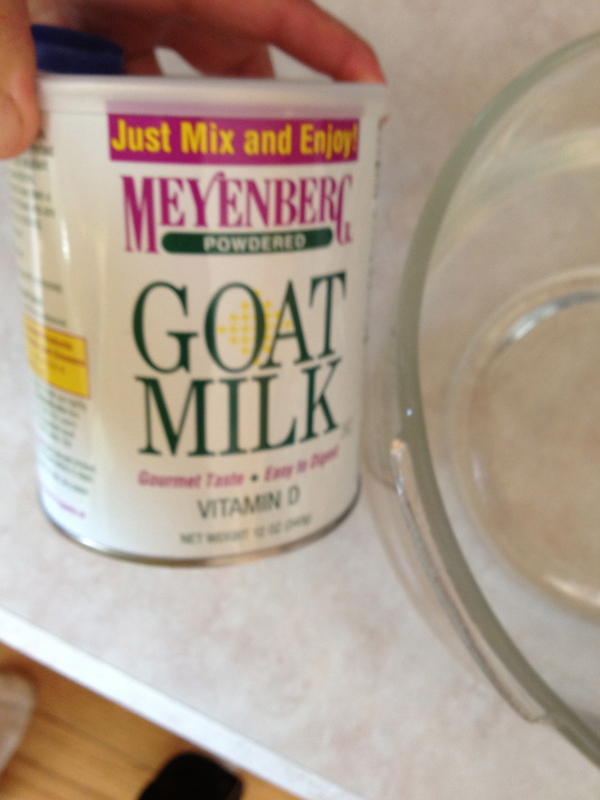 Once I opened the container I put the rest of the powdered goat milk in the refrigerator. 4. The biggest issue was obtaining the rennet and the mesophilic culture. 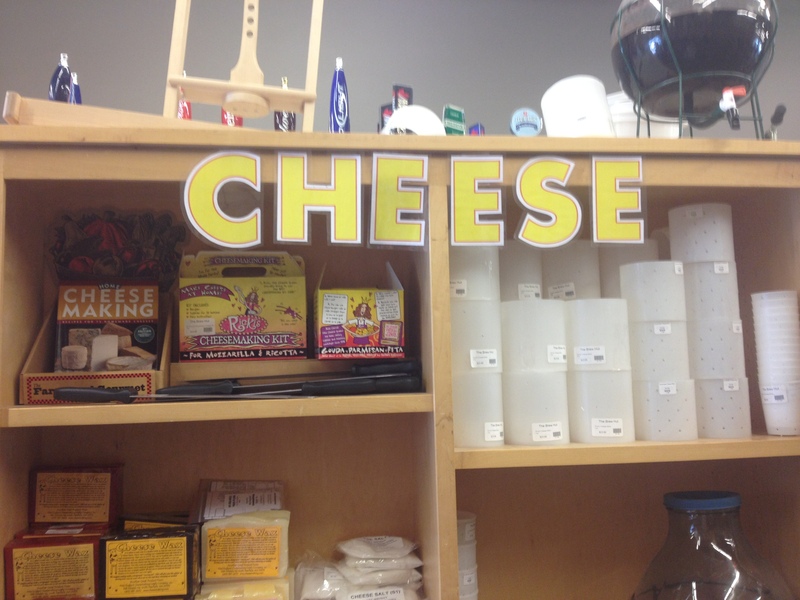 I was lucky that a cheese shop I pass everyday on the way to work had the items and were very helpful with my questions. 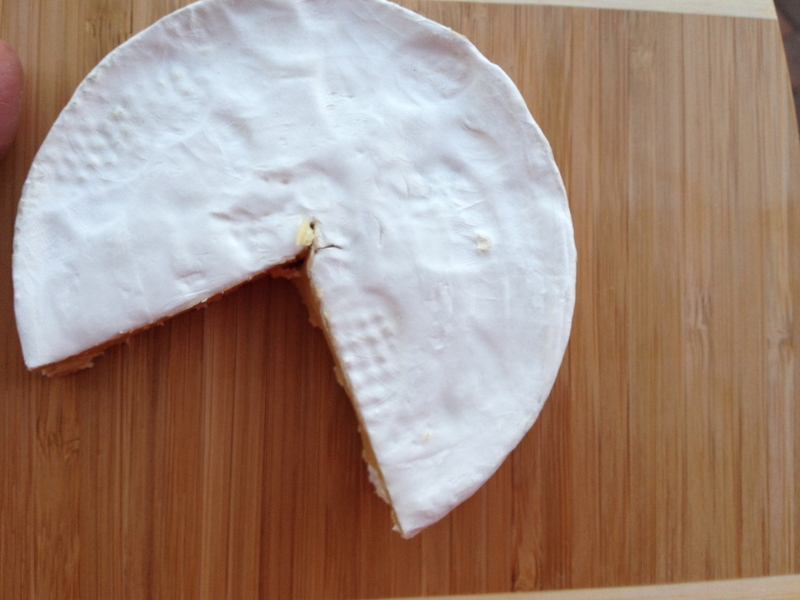 On my next post I’ll show two more cheeses I made including brie (if you can believe it). Until next time. 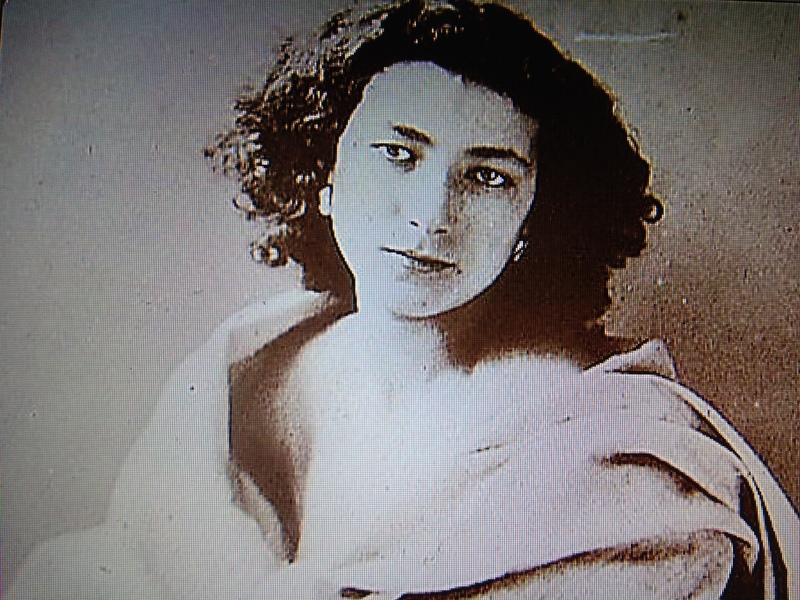 The term “Diva” was most likely first attributed to Sarah Bernhardt, a dramatic and tragic French actress who was famous in the early part of the 20th century. 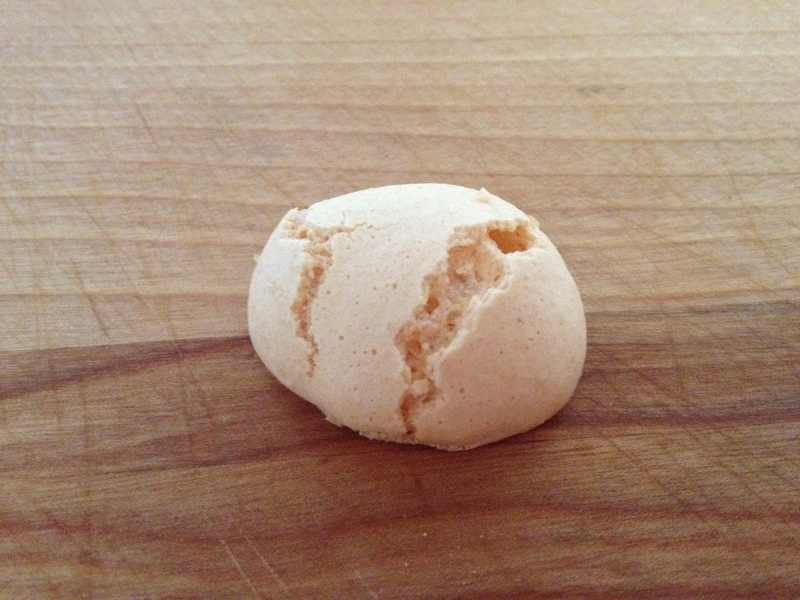 Andre bakes his way through Martha Stewart’s Cookie book has an excellent history of the Sarah Bernhardt cookie. Apparently while Sarah was touring in Amsterdam, she tasted this cookie and the bakeshop owner named it after her. It was also a secret code during WWII as the cookies looked like radio dials. 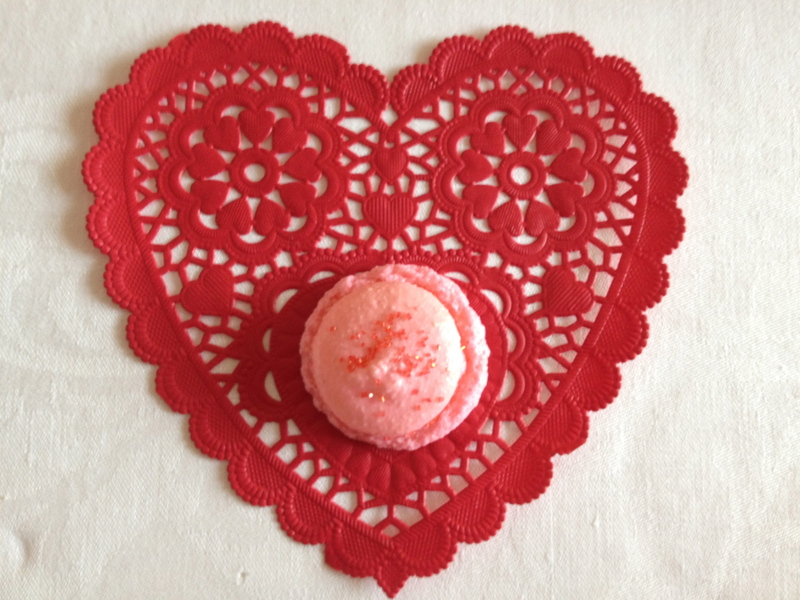 If someone asked for the cookie in a bake shop they identified themselves with the resistance. The cookie exchange is five days away!! I have two more cookies to try before deciding which one to take. 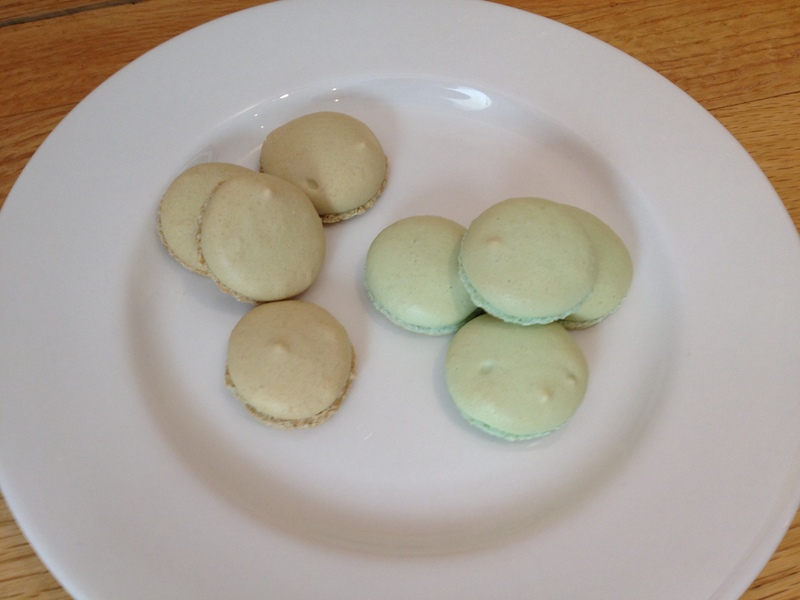 Like Sarah herself these cookies are divine but take some some finesse to perfect. The flavor combination of almond paste with chocolate makes me swoon. I had to try it at least once. 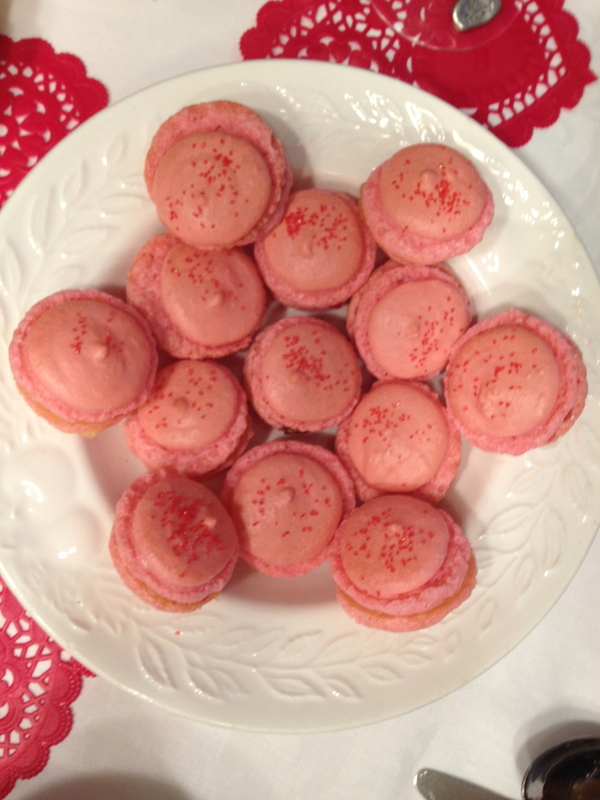 I stayed with the Martha Stewart Holiday cookie recipe theme. There are three parts: the cookie, the filling and the coating. 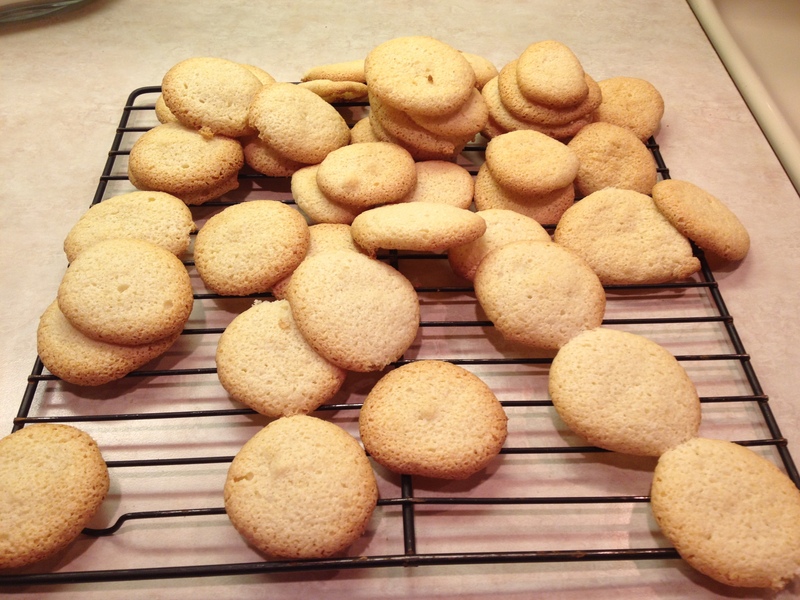 The cookie: I used a piping bag to form the cookies on the cookie sheet to bake. After they cooled I popped them into a plastic bag and put them in the freezer. 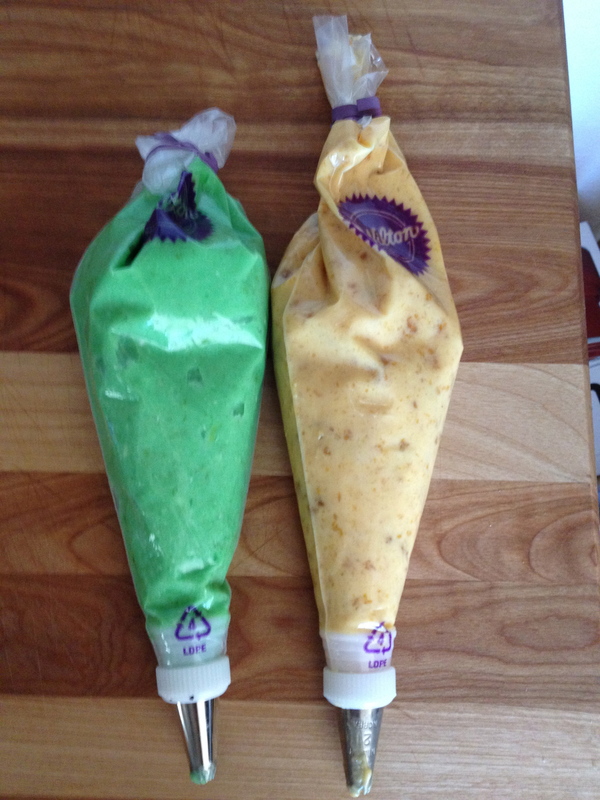 The filling: The filling has to be refrigerated for several hours or overnight. 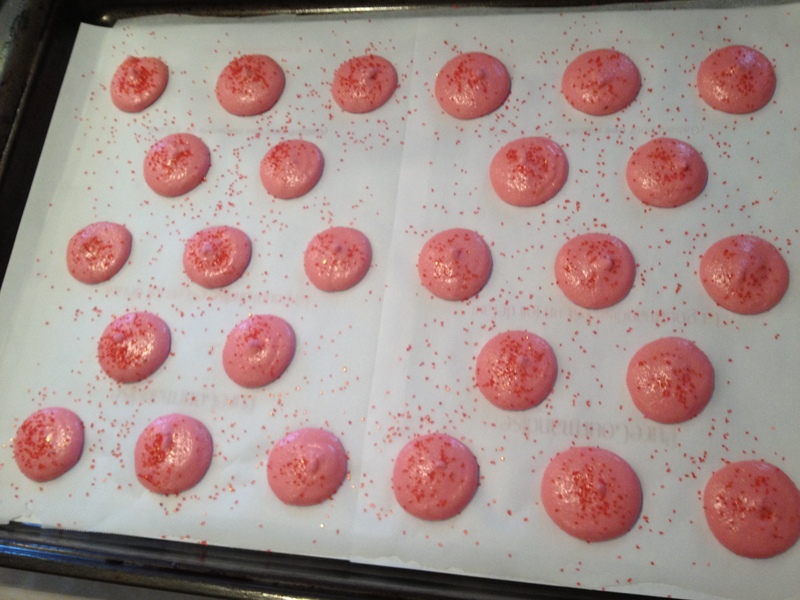 I used a piping bag to put the filling atop the cookies. 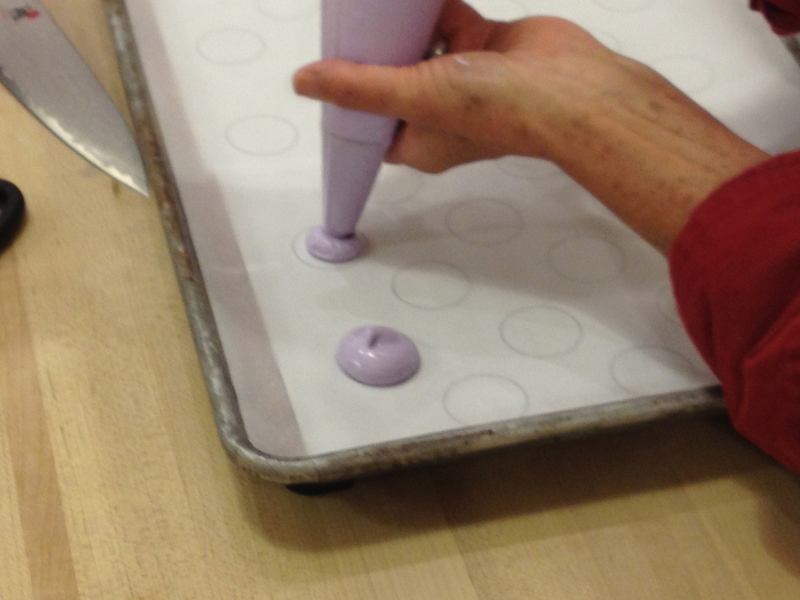 Then they are popped back into the freezer to stay firm before applying the coating. 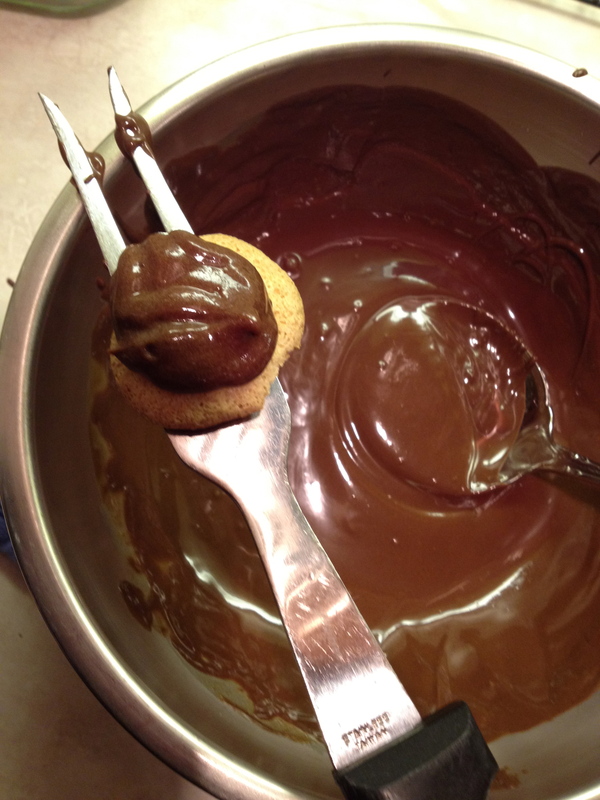 The coating: I balanced the cookie with filling atop a serving fork and poured the coating atop using a ladle. I then put them on a rack where the coating could drip off the cookie to a wax paper sheet below. 1) Lots of steps that takes time and planning and a freezer to accommodate. 2) Oh my gosh!! Messy!!! The coating was disastrous. I think it would have been better to place the cookies on a rack with wax paper below so that I wouldn’t have to handle the cookies at all during the pouring of the coating. 3) Yummy! 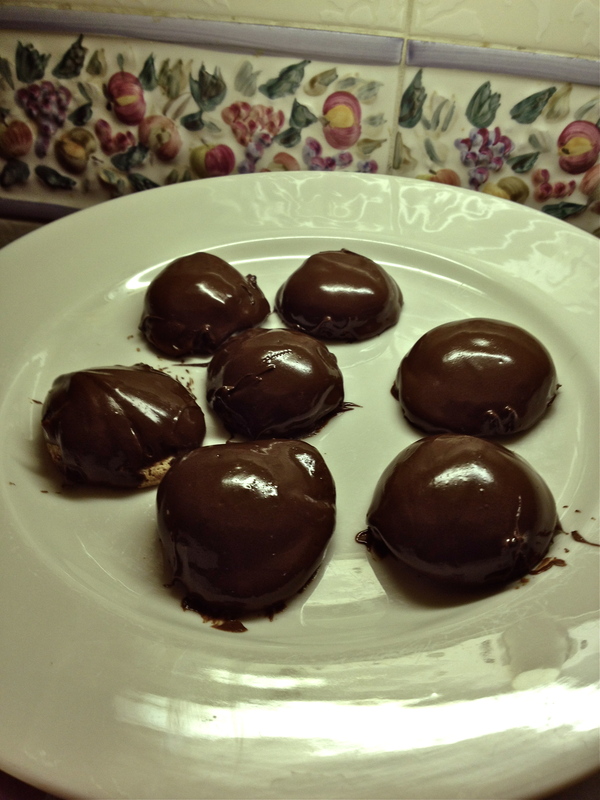 As I anticipated, the combination of almond and chocolate is melt-in-your-mouth wonderful. 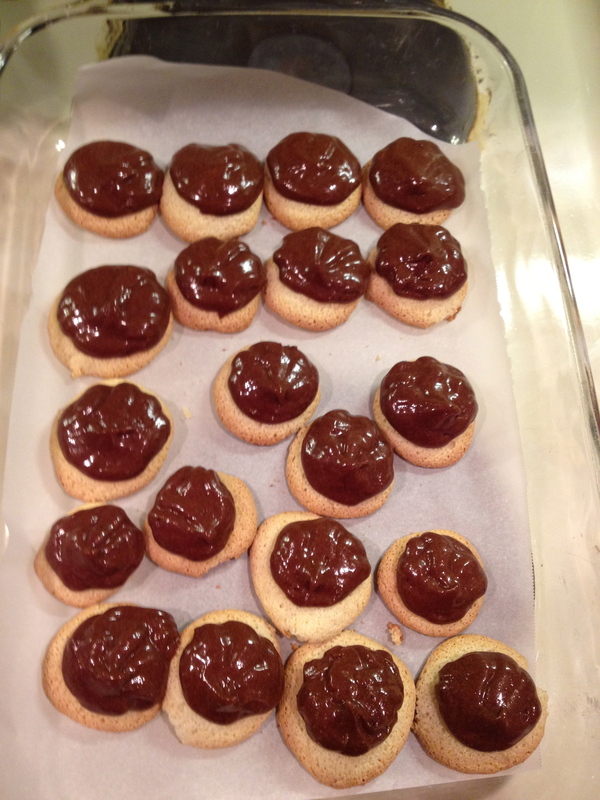 4) I wrapped the cookies individually and placed back in the freezer to keep formed. I am afraid that once they come out of the freezer, they will melt easily. Oh Sarah, you are Divine! One more cookie to go!